Meltables, lot codes, and expiration dates - oh my! It seems that expiration-dated inventory can trip up even seasoned Amazon sellers. It’s true: there are extra rules and requirements for sending in perishable items to FBA. But it’s not that bad. I’ve had sellers tell me that they avoid products that have expiration dates because they don’t know what to do with them. There are lots of products with expiration dates, which means you’re leaving a lot of profit on the table by skipping them. Once you learn the rules, things won’t be so scary! And the little bit of extra time it takes to prep your products will be worth it once you’re shipping in replenishable items! Today, I would like to share some of my tips on making the best of items with expirations. Let’s dig into some fresh content! Before we get to the nitty-gritty details of prepping and labeling, let’s first look at Amazon’s general requirements for sending in expiration-dated inventory. All of the requirements in this article are directly from Amazon’s guidelines. Which Items Require Expiration Dates for Amazon FBA? This means that in addition to obvious things like food in the Grocery category, you’ll also find many products in the Beauty, Health & Personal Care, and Pet Supplies that are subject to expiration. Amazon also has rules about when FBA sellers can send in expiration-dated inventory. Basically, Amazon doesn’t want you shipping them items that are about to expire. Also, customers wouldn’t want to receive an item that only has one or two months of remaining shelf life. That means when you are sending products into Amazon fulfillment centers, they have to be checked in and still have more than 105 days left on the shelf life. If you are cutting it close, you will want to account for time for the item to ship to Amazon as well as time for it to be fully checked in (and possibly transferred to other fulfillment centers). Then, once the items are in a warehouse, they must sell before there is less than 50 days remaining on the shelf life. Once there is less than 50 days left, Amazon will dispose of the products and you cannot get them back. When you’re out sourcing, the main number to remember is 105 days. That’s just under 3.5 months, but it’s best to use 4 months as a reference. That way you’ll have enough time to get the items shipped to Amazon. I tend to think about my new expiration date criteria at the start of a new month. So if it’s early August, I know that I am looking for products that expire later than December. If you want to know the exact date limit, you can use a date calculator or you can just type “105 days from now” into a Google search bar. So here they are talking about things like vitamins, supplements, and anything where the product is meant to last a certain number of days. Think about it like this: if you’re selling a bottle of 240 “one-a-day” vitamins, the customer won’t be very happy to receive them with only 105 days of shelf life remaining. With this rule, Amazon guarantees that the customer would have the 240 days’ supply plus the 105-day buffer. Doing it this way will allow for you to accurately complete your Box Contents information for your shipment. It also means that Amazon knows which boxes contain which expiration dates. If you have any meltable inventory in an Amazon warehouse in April, it might be time to lower prices and get the sale. Don't worry: Amazon usually sends out a reminder email with about 30 days to go. Not sure if your product is meltable? If you find a must-sell meltable during the restricted window, you can always merchant fulfill the item. 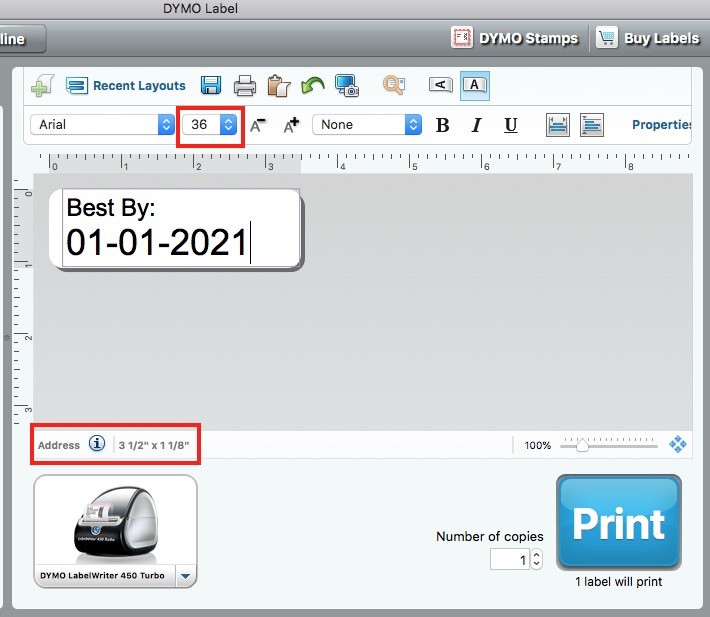 If you use a Dymo printer, it’s easy to open the Dymo software, select your label size, and create a template for your expiration date label. You can save it so that all you have to do is change the date. 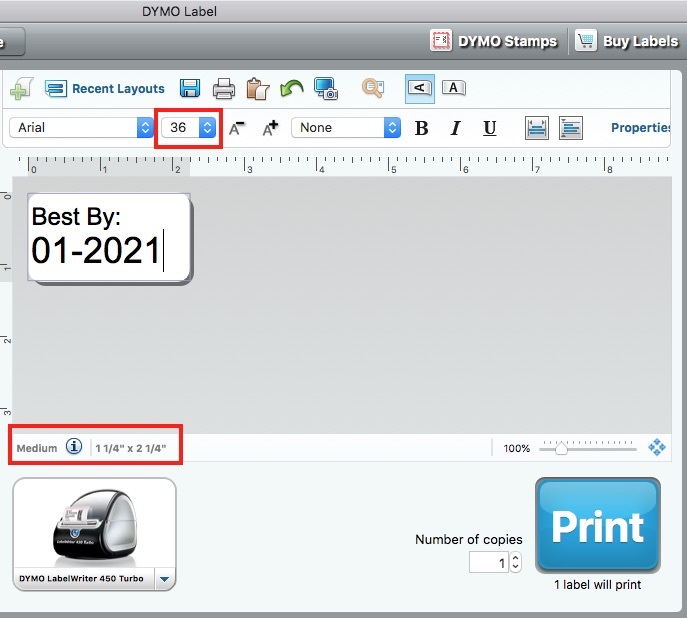 On the Dymo 30252 (address size) labels, it’s easy enough to fit the MM-DD-YYYY information in size 36 font. On the smaller Dymo 30334 labels, I could only fit the MM-YYYY format in size 36 font. Whatever label you use, it needs to go either directly on the product (covering the manufacturer’s expiration date) or on the outside of any bubble wrap or poly bags. If you don’t do this, Amazon can either refuse the items or charge you for labeling them for you. Sometimes, you may find yourself with a product that meets Amazon’s definition of expiration-dated, but has no actual “Best By” or “Expires On” date on it. Amazon still expects you to provide a properly formatted expiration date in this scenario. In this case, you’ll need to check the packaging for a lot code. Manufacturers put lot numbers on items as a way of grouping products by production date. That way, in the event of a recall or safety issue, the manufacturer can recall the affected items. If you have an item with a lot code, you may need to contact the manufacturer for help converting the lot code into an expiration date. Other times, you may have a product with a “manufactured on” date instead of a “best by” date. If you have a product that was manufactured in June of 2017 and the product is good for three years, then your label could say “Best By 06-2020”. Remember that for multi-packs or bundles containing perishable items, your products may have three separate labels: seller barcode, expiration date, and “sold as set/do not separate”. I hope that I was able to explain the rules to make them easier to understand and not so scary! There are so many amazing expiration-dated items in drug stores, grocery stores, online, and on clearance. Don't let fear of extra labels keep you from sourcing these products! I want to know what you think about expiration-dated items. More trouble than they're worth or the key to sweet profits? Share your thoughts or questions in the comments below! It seems strange they would want you to cover the existing expiration date because there would be no way to verify it. I can understand labeling near that date with a label in the 36 font as you mentioned. If the date is in the wrong format I will usually polybag the item and then put the new date label on the polybag. That way I am not actually covering up the original, because that seems odd to me as well. I have pet treat products I sell often. The existing listings do not have expiration dates (and I am not asked to enter one when creating an inbound FBA shipment). This has me worried that the listings or my seller acct will be shut down at some point. What do you recommend I do? I have read an expires date format, I bit confuse with this statement “Each cartoon can only have one expiration date per ASIN. Multiple ASINs can be shipped in the same cartoon as long as each ASIN has only one expiration date.” whether that mean we must put ASIN & expire date onto one label or separate on the master? If you are shipping a multi-packed item and the items have different expiration dates, you have to label on the outside of the packaging the date that is “closest” to expiring. I have put the FNSKU barcode in every unit item, should I put ASIN/UPC barcode in every box? What is the Expiration date Policy for Merchant fulfilled? is that also 50 days? I cannot get a clear answer. Would an item like this require an expiration date on the product? The product has a lot number on it but doesn’t have expiration date info. Would you call up the company just in case or do these types of products normally not have expiration dates? So can i send the product as it is without relabeling it with correct format? What happens when you have a product without a limited shelf-life? I called the manufacturer with the lot number and was told it does not expire. It’s a face cream. I learned the product was manufactured over three years ago, though. Can I send it in with no exp date label? I hope this question hasn’t been answered, but I was wondering if you could help me out with something. We recently were informed by Amazon that one of our product was expired. We were able to get the product back. When we got it, the date was clearly Dec 2014, no where near expired, but it had been sent in Sept 2013. I was wondering if you knew how amazon decides to remove products and how something like this might happen? 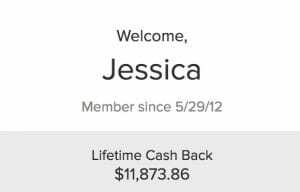 Jessica, I had a debate with a friend over expiration dates and ended up calling three companies to find out what the actual expiration date for a item labeled 10/2013. All three said it was the last day of the month. This is an entirely new section of products for me, so excuse my simple question: what does lot-controlled mean? It is when the manufacturer just puts a code on the product instead of an expiration date. If there is ever a problem with it, they can let people know based on the lot code. It can tell them things like the date it was made, or which plant it was at. Thank you! 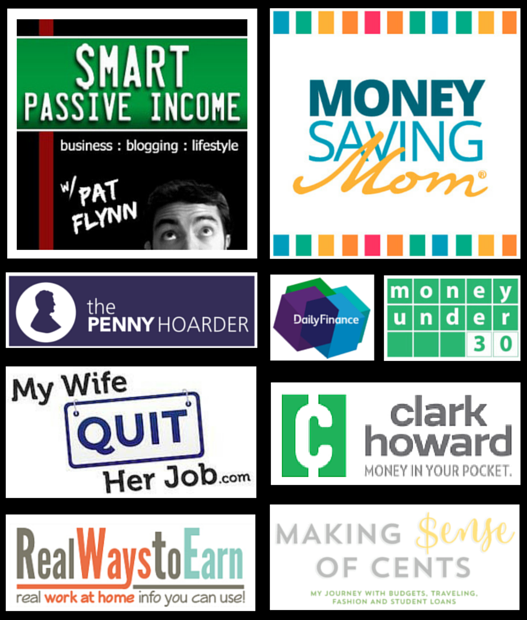 You are contributing a priceless world of assets to the FBA’ers of the world. Kudos to ya, gal ! Keep up the good work 😉 ! But maybe now I can reconsider. Thank you for the article, Jessica! It clears up a lot of confusion I was having! Plus the template is great! I only want to mention, though, for anyone else that might be having trouble with printing the labels, is that they print correctly on the address label sheet if you uncheck the “Fit to page” option in the print dialogue box. A very helpful post! Thank you so much! I will now do this correctly–oops! Thank you for your article! I just bought some food products this morning and need to label and prep them correctly. This is so helpful. Thank you also for the expiration date template. When you say master carton, does that mean the box I shipped everything in? Let’s say I send in a box of loose candy bars. The candy bars have a human readable expiration date on them, then I put the 36 pt font sticker on the shipping box?? A master carton is from the factory originally. So, if the loose bars were in a manufacturer box then it would need to say it on there. Because the warehouse would just keep them all in that box until they sell. Gotcha. So if I just sent in loose candy bars without the manufacturers box, I would need to label each one? 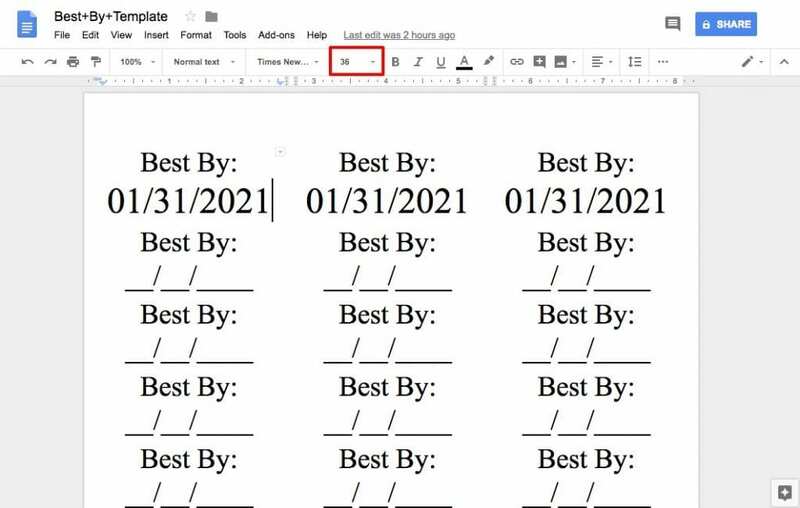 You only need to label them if the date is not easy to read on the individual bars, or if they are in the wrong format. The template helped so much. And it is a little clearer now. You are a great help to everyone. Thank you. What about products that just have “Expires 10-2013” ? How should that be labeled? Shirley, in that case, it would be 10/01/2013. When there is no day of the month, it always defaults to the first of that month. I have been labeling everything for the LAST day of the month if it was MM/YEAR. I’m glad I read this!! I’ve been using the last day of the month also! .. Jessica, Curious – do you use the the first to be conservative good seller or is this from direction from Amazon? I just read the entire blog… see the answer at bottom on why you use the 1st as the date! Sorry for repeat qeustion 🙂 I am very curious – How do you manage tracking your items’ expiration dates… For example if one is coming up soon better to lower price than get a returned expired item?